Peak seasons, special offer trends and other busy periods can often be a struggle to deal with for eCommerce businesses, whether they have geared up for the occasion or not. Special offer trends, such as Black Friday, can result in a huge increase in demand and make in-house stock management and fulfilment particularly difficult. Not only this but the aftermath of a sale, when the dust begins to settle, can bring challenges of its own. If you are beginning to re-think your eCommerce fulfilment and have yet to consider outsourcing, there are some major benefits in utilising a fulfilment service, particularly when it comes to managing peaks and troughs in demand. Specialist fulfilment centres are designed to handle large volumes of stock, have the experienced staff to manage it and most importantly the available space to store and secure it properly. 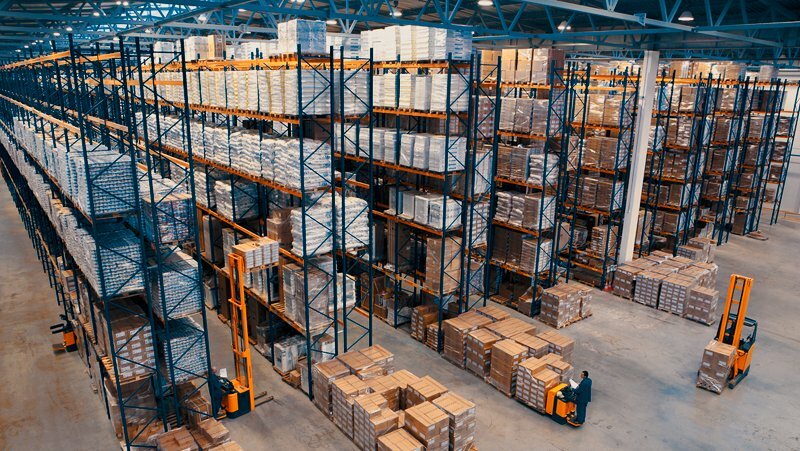 Particularly for small-to-medium sized businesses, handling larger stock volumes can put a strain on efficiency and space, whereas outsourcing to a specialist will maximise efficiency for picking & packing, shipping, storage and even returns. At Pointbid, our Stock receiving process is handled by our dedicated team. The process is designed for swift, accurate receipt based around your Advanced Supplier Notification (ASN). The automated order receiving system, regardless of your sales platform, collects orders, generates the pick instructions, complete with the chosen carriers integrated delivery label. We have a sophisticated courier integration model that allows seamless order fulfilment, utilising our wireless barcoded picking system. By outsourcing all of the management of stock to a fulfilment centre, you won’t have to worry about hiring more staff in order to proficiently handle increased stock and order levels; whether taking the time to interview or paying for expensive agency staff. If you were to handle everything in-house, you may find yourself overstaffed and overstocked when a sale or holiday period dies down. Often times a fulfilment provider will offer a flexible contract, therefore minimising your financial risk and saving you the hassle of down-sizing your staff levels. This is where we at Pointbid get to know your business profile, products and market space. Its where we help you tailor the process to provide the very best solution to your fulfilment requirements. A service that provides cost effective, focussed solutions for your business. You can leave the inventory control, picking, packing and despatch to us and concentrate on growing your business. We provide a dedicated account manager and advise on There will also be options to assist you in getting rid of any redundant and leftover stock following a seasonal sale, if you don’t want it delivered back to you. Fulfilment companies such as Pointbid Logistics offer use technology to maximise order picking productivity, boost accuracy and provide an efficient and flawless customer experience. We continually review and develop key technologies that integrate and work together, investing in development to create systems that all departments use consistently. Pointbid offers effortless multiple channel integration to many, sales channels as well as your own site. We work with you to achieve flawless and error free data transfer. This approach provides a flexible and controlled approach to fulfilment management.